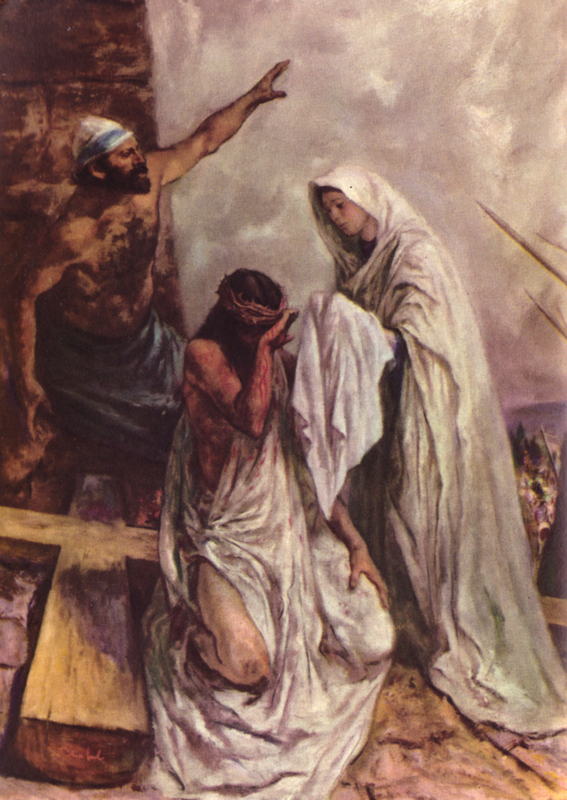 According to tradition, while our Lord was on His way to Calvary the compassionate woman Veronic a offered Him a veil with which to wipe His face and on this veil He left the imprint of His features. This led to wide- spread devotion to the Holy Face in the early Middle Ages. Our chief reasons for honoring the adorable Face of Jesus are to offer respectful love and homage to that Face so disfigured in the Passion; to make reparation for blasphemy and the neglect of a Christian observance of Sunday; to pray for the conversion of those who profane the Lord’s Day. O my Jesus, cast upon us a look of mercy; turn Thy face towards each of us as Thou didst to Veronica, not that we may see It with our bodily eyes, for this we do not deserve; but turn It towards our hearts, so that, remembering Thee, we may ever draw from this fountain of strength the vigor necessary to sustain the combats of life. Amen.